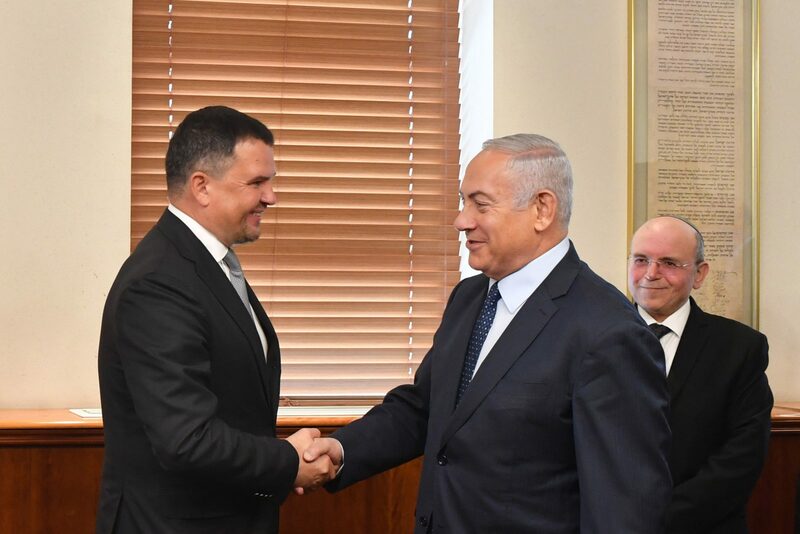 Prime Minister Binyamin Netanyahu, met Tuesday with Russian Deputy Prime Minister Maxim Akimov, who has arrived in Israel for the discussions of the mixed Israel-Russia economic committee. A statement from the Prime Minister’s Office said Netanyahu had “emphasized the importance of the link between the two countries and of the continued dialogue regarding threats in the region based on common interests.” According to the statement they also discussed continued advancement of cooperation in medicine, science, construction and agriculture. The meeting was the first high level meeting between the prime minister and a senior Russian official since the September 17 incident in which a Russian intelligence plan with 15 military personnel was shot down by Syrian air defense batteries during an IDF strike on an Iranian military depot supplying advanced weapons to Hezbollah. Earlier this week, Netanyahu said he had spoken with Russian President Vladimir Putin and that they would meet in the near future.